I love spring bulbs, I adore them with a passion, from their first offerings in January when everything is gloomy and the first forced bunches of daffodils arrive in the shops to when my own tulips and daffs appear in the garden. And I know when they are gone, they are gone and no amount of pining will bring them back until another winter has passed. 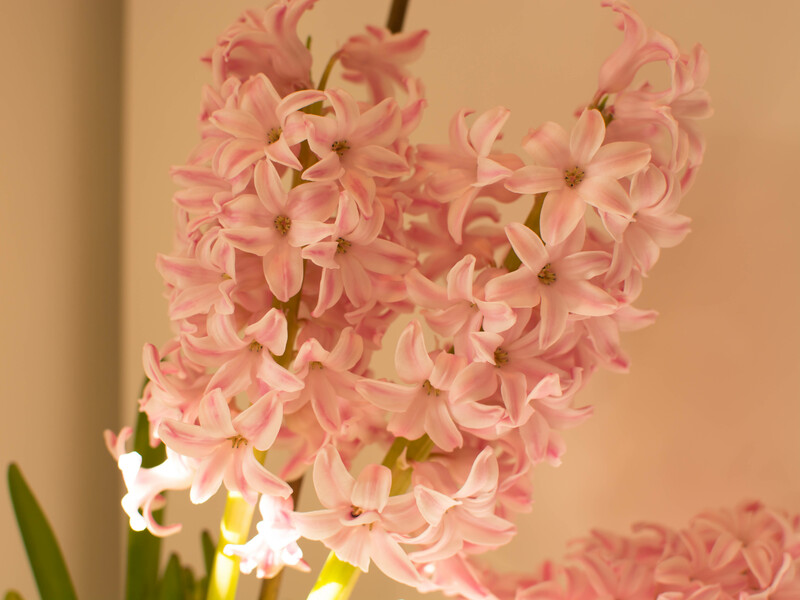 I especially adore hyacinths, pink hyacinths are my absolute favourite and mostly I never find that colour or if I do they are at a price, which just after the excesses of Christmas makes my purse feel a bit too pinched to allow myself the treat. I found these at Marks and Spencers for £2.50 for the tub of three. I whisked them home and have watched them bloom and have been admiring their waxy pretty pink flowers every morning whilst drinking my coffee. 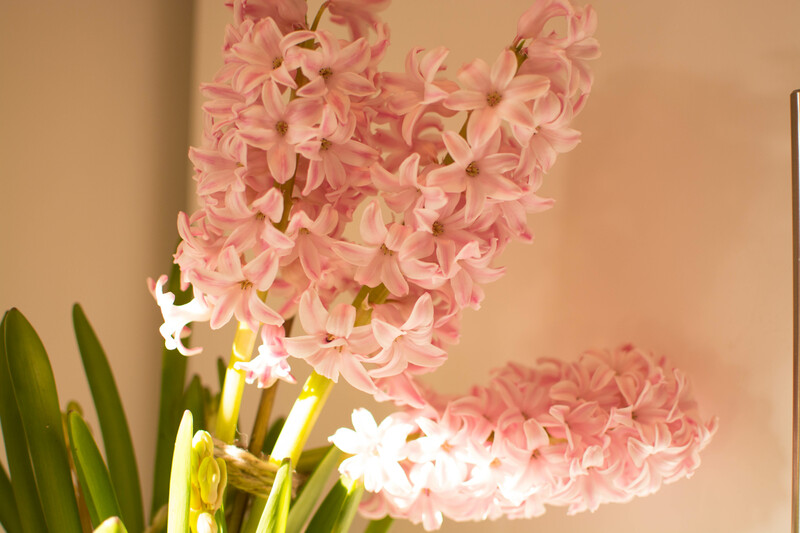 And not only are they pretty, their scent wafts through the whole of the house. They really are heavenly. 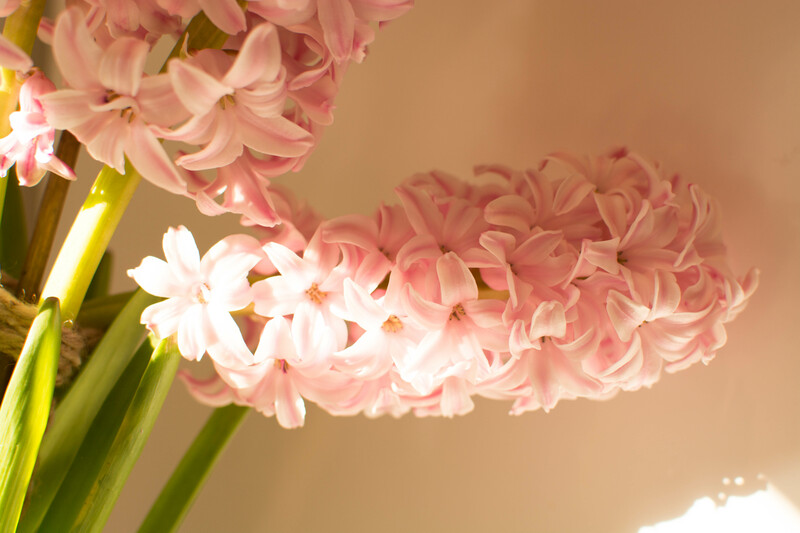 There is nothing comparable to the sweet scent of hyacinth. The only other one I remember from England is sweet hoeysuckle. We have it here but no scent.